This is the second installment in a series of reviews of multi-stage backpacks (part 1, part 3, part 4). Deciding what pack to use during a multi-stage race is one of the most difficult and important decisions to make before the race. The pack needs to hold all your required gear and food, it needs to be durable enough to last throughout the race, and it needs to fit you well so you're comfortable while running. There were a wide variety of packs in the Atacama and I wanted to find out which packs worked well and what specific features were appreciated by runners. I asked a few friends from the race to give me their feedback. Previously we had Joel and Argi who used slightly larger 25l packs and here we have Massi's 20l pack and my 17l pack. It did indeed. The only item which didn't fit was my inflatable mattress that I fixed on the outside. 3. 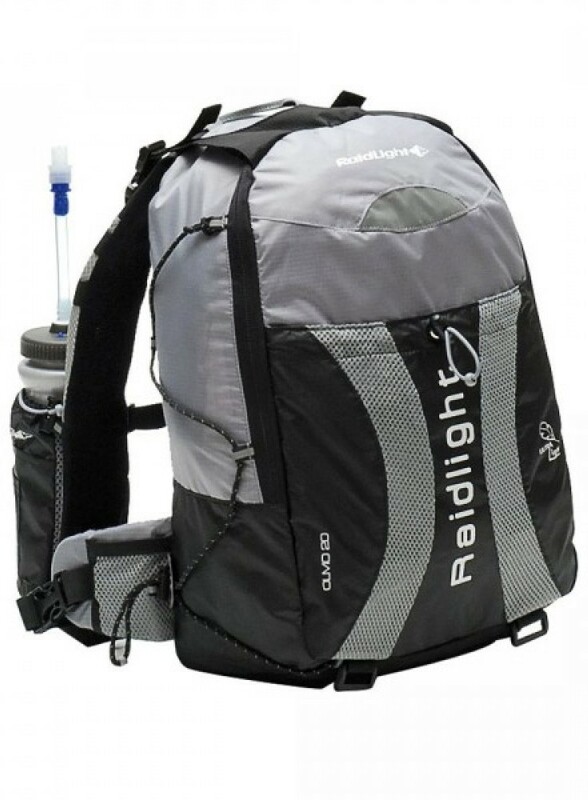 What was the final weight of your pack and hydration system (without water)? Very good fit and very good stability whilst I was running. 5. What did you use for hydration (front bottle, bladder, etc)? 2 x 750ml front bottles from Raidlight. 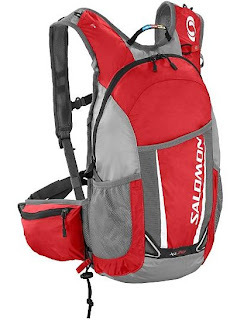 The Olmo 20l is extremely comfortable and has great cushioning on the back. The weight is just great. The stability makes this rucksack an excellent part of an ultrarunner's gear. I would create an Olmo 22l because that is what I consider the perfect volume. I will definitely use it again during my next race. The Salomon XA20 with two Salomon custom front bottles. Yes it did. However, I had a very minimal amount of gear that did not include a sleeping mat and that included close to the minimum amount of calories. At the beginning of the race the pack was completely full with all the external pockets packed with my in-race nutrition. My pre-race weight at the check-in was 6.5kg. The pack fit well and was stable during running. I experimented with this pack using different weights, packing it differently, as well as using various accessories for the front such as the front pack and the custom water bottles. For me the best answer was the pack with two bottles and even when I got to this solution it took some adjusting to arrive at a stable pack during the race. I used two Salomon custom front bottles and a 2l bladder to meet the minimum requirements. I would change the bladder to a soft bottle in the future as I think that would be a much better solution and more accessible during the stages. I used all three of the external pockets because the bag is small and I was pushing the limit on the capacity. All of my in-race nutrition, gels, electrolytes and powder drink mixes, were packed in these pockets. I also put the required race passport in the outer most pocket so it was easily accessible to sign-in for each stage. Nothing. The pack is in exactly the same condition, albeit a little salty and dirty, as it was at the start of the race. I liked the adaptability of the Salomon custom system. As I mentioned earlier I tried various accessories and I appreciated that I could do a lot of testing before the race to find what worked for me. It was also a durable bag that lasted through my training and the race and I liked the security I felt with a strong, reliable pack. The custom bottle holders were too loose for my liking. In the end I duct taped them onto the shoulder harnesses to prevent any bouncing. I was also irritated by two metal drainage studs on the bottom of the pack which could rub when the pack was not full. I would recommend removing these studs from the pack. I would recommend the pack as it served me very well and I would definitely use it again. Part 1 with Joel's and Argi's packs. The gear that I took with me to the Atacama Crossing. A review of which what gear I used during the Atacama Crossing: what worked and what didn't.